Collage (From the French: coller, to glue, French pronunciation: ​) is a technique of an art production, primarily used in the visual arts, where the artwork is made from an assemblage of different forms, thus creating a new whole. 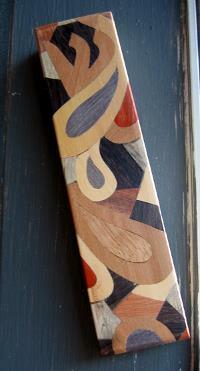 The term collage derives from the French "coller". This term was coined by both Pablo Picasso in the beginning of the 20th century when collage became a distinctive part of modern art. Techniques of collage were first used at the time of the invention of paper in China, around 200 BC. The use of collage, however, wasn't used by many people until the 10th century in Japan, when calligraphers began to apply glued paper, using texts on surfaces, when writing their poems. The technique of collage appeared in medieval Europe during the 13th century. Gold leaf panels started to be applied in Gothic cathedrals around the 15th and 16th centuries. Gemstones and other precious metals were applied to religious images, icons, and also, to coats of arms. An 18th-century example of collage art can be found in the work of Mary Delany. 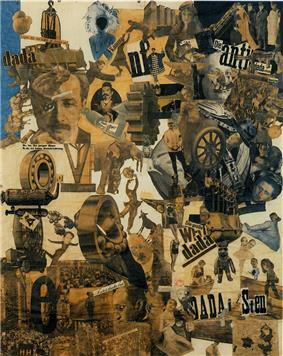 In the 19th century, collage methods also were used among hobbyists for memorabilia (e.g. applied to photo albums) and books (e.g. Hans Christian Andersen, Carl Spitzweg). 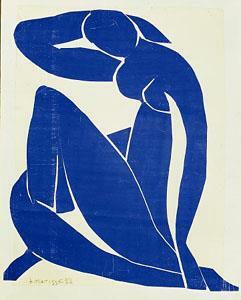 The Andy Warhol; and Europeans such as Arman, Baj, Christo, Yves Klein, Festa, Rotella, Jean Tinguely, and Schifano. It followed the Nouveau Réalisme exhibition at the Galerie Rive Droite in Paris, and marked the international debut of the artists who soon gave rise to what came to be called Pop Art in Britain and The United States and Nouveau Réalisme on the European continent. 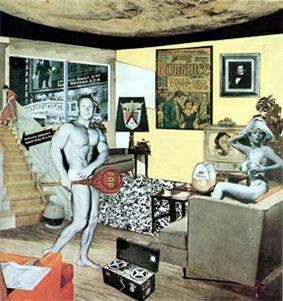 Many of these artists used collage techniques in their work. Wesselmann took part in the New Realist show with some reservations, exhibiting two 1962 works: Still life #17 and Still life #22. 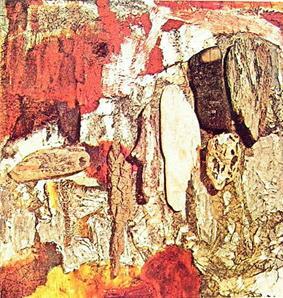 It is also interesting to note that wood collage in a sense made its debut, indirectly, at the same time as paper collage, since (according to the Guggenheim online),  Thus, the idea of gluing wood to a picture was implicitly there from the start, since the paper used in the very first paper collages was a commercial product manufactured to look like wood. 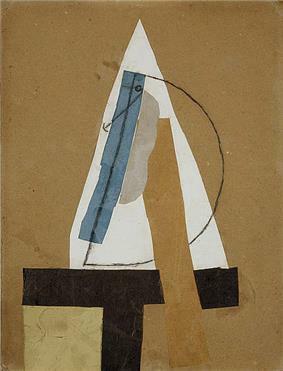 Though Le Corbusier and other architects used techniques that are akin to collage, collage as a theoretical concept only became widely discussed after the publication of Collage City (1987) by Colin Rowe and Fred Koetter. Rowe and Koetter were not, however, championing collage in the pictorial sense, much less seeking the types of disruptions of meaning that occur with collage. Instead, they were looking to challenge the uniformity of Modernism and saw collage with its non-linear notion of history as a means to reinvigorate design practice. Not only does historical urban fabric have its place, but in studying it, designers were, so it was hoped, able to get a sense of how better to operate. Rowe was a member of the so-called Texas Rangers, a group of architects who taught at the University of Texas for a while. Another member of that group was Bernhard Hoesli, a Swiss architect who went on to become an important educator at the ETH-Zurirch. 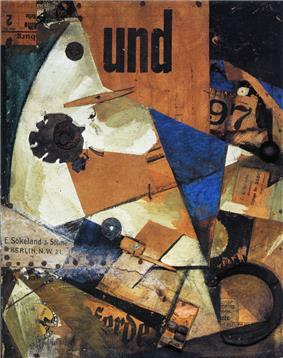 Whereas for Rowe, collage was more a metaphor than an actual practice, Hoesli actively made collages as part of his design process. He was close to Robert Slutzky, a New York based artist, and frequently introduced the question of collage and disruption in his studio work. In the 1960s, The Beatles. 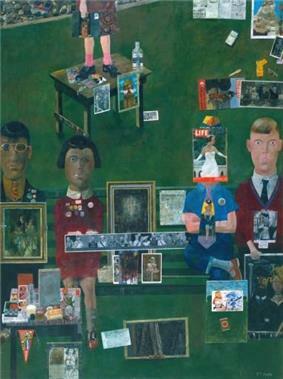 In 1967 Pop artist Peter Blake made the collage for the cover of the Beatles seminal album Sgt. Pepper's Lonely Hearts Club Band. In the 1970s and '80s, the likes of Christian Marclay and the group Negativland reappropriated old audio in new ways. By the 1990s and 2000s, with the popularity of the sampler, it became apparent that "musical collages" had become the norm for popular music, especially in rap, hip-hop and electronic music. In 1996, DJ Shadow released the groundbreaking album, Endtroducing....., made entirely of preexisting recorded material mixed together in audible collage. In the same year, New York City based artist, writer, and musician, Paul D. Miller aka DJ Spooky's work pushed the work of sampling into a museum and gallery context as an art practice that combined DJ culture's obsession with archival materials as sound sources on his album "Songs of a Dead Dreamer" and in his books "Rhythm Science" (2004) and "Sound Unbound(2008)" (MIT Press). In his books, "mash-up" and collage based mixes of authors, artists, and musicians such as Antonin Artaud, James Joyce, William S. Burroughs, and Raymond Scott were featured as part of a what he called "literature of sound." In 2000, The Avalanches released Since I Left You, a musical collage consisting of approximately 3,500 musical sources (i.e., samples). Adamowicz, Elza (1998). Surrealist Collage in Text and Image: Dissecting the Exquisite Corpse. Ruddick Bloom, Susan (2006). Digital Collage and Painting: Using Photoshop and Painter to Create Fine Art. West, Shearer (1996). The Bullfinch Guide to Art. UK: Bloomsbury Publishing. Colin Rowe and Fred Koetter. Collage City MIT University Press, Cambridge MA, 1978. Mark Jarzombek, "Bernhard Hoesli Collages/Civitas," Bernhard Hoesli: Collages, exh. cat., Christina Betanzos Pint, editor (Knoxville: University of Tennessee, September 2001), 3-11. Brandon Taylor. Urban walls : a generation of collage in Europe & America : Burhan Dogançay with François Dufrêne, Raymond Hains, Robert Rauschenberg, Mimmo Rotella, Jacques Villeglé, Wolf Vostell ISBN 978-1-55595-288-4; ISBN 1-55595-288-7; OCLC 191318119 (New York : Hudson Hills Press ; [Lanham, MD] : Distributed in the United States by National Book Network, 2008), worldcat.org. ^ Enslen, Denise. """Origin of the term "collage. Archived from the original on 2012-04-12. ^ a b c Leland, Nita; Virginia Lee Williams (September 1994). "One". Creative Collage Techniques. North Light Books. p. 7. ^ "This is tomorrow", thisistomorrow2.com (scroll to "image 027TT-1956.jpg"). Retrieved 27 August 2008. ^ "Just what is it", pchelm.com. Retrieved 27 August 2008. ^ Guy Garcia (June 1991). "Play It Again, Sampler". ^ Mark Pytlik (November 2006). "The Avalanches".